Cross Anchored remains steadfast in our conviction that God has called us – as individuals and as a group – to a music ministry. We stand apart in the way we seek to use our talent to glorify the Lord but above all, we stand firmly with sincerity and a genuine desire to share the Good News of Jesus Christ with a hurting and needy world. Our commitment to ministry and desire to see people drawn closer to the Lord are the driving forces behind all we do. 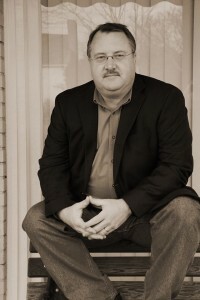 A native of Dobson, NC, Todd began his singing career in 1996 with The King’s Heirs Quartet. After a four year journey with them, he left the group searching for what God would have him to do with his talent. From 2000 until 2005, Todd sang briefly with Crosswork Quartet and had begun a solo ministry. In 2005, Todd joined the group, New Mercy Quartet, and stayed with them until they came off the road in 2006. Todd’s hobbies include golf, playing basketball and spending time with his wife and kids. Todd resides in State Road, NC with his wife, Vanessa, and daughters, Hannah & Sydney Claire. Born in Olney, Illinois, Jay lived in Vincennes, Indiana until the age of 10. It was then he and his family moved to Gastonia, NC. Jay was saved at the age of 13 at the Wesleyan youth camp in Kernersville, NC. Although he started singing publicly in 10th grade (choir) he made his “BIG” debut at the age of 9 when he sang his first solo in church! 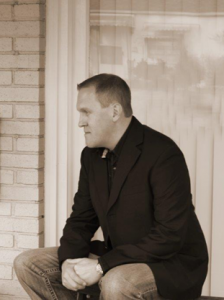 Jay joined the Chapel Grove Quartet in 1997 while attending college. Jay enjoys golf, Duke basketball and traveling in his spare time and makes his home in Statesville, NC with his wife Tara and children Carson, Tyler and Kylie. 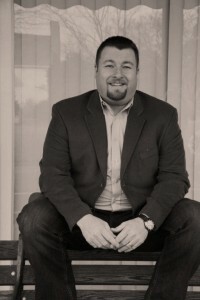 After singing a few years with his home church quartet, “Solid Ground”, Myron joined Tarheel State Quartet in April 2002 singing with them until July 2006. “After leaving Tarheel State, I immediately began thinking God was finished with me. Todd and I ate dinner together one night and as we talked, everything became clear … thus the birth of Cross Anchored. Myron’s hobbies include computers and playing basketball. He resides in Elkin, NC with his wife Sherry and children Matthew & Leah.